To remove Dust – depending upon the location of your house, dust can accumulate speedily. Dust can build up on some items inside your house, and that includes mattress. Therefore a regular clean up becomes necessary. 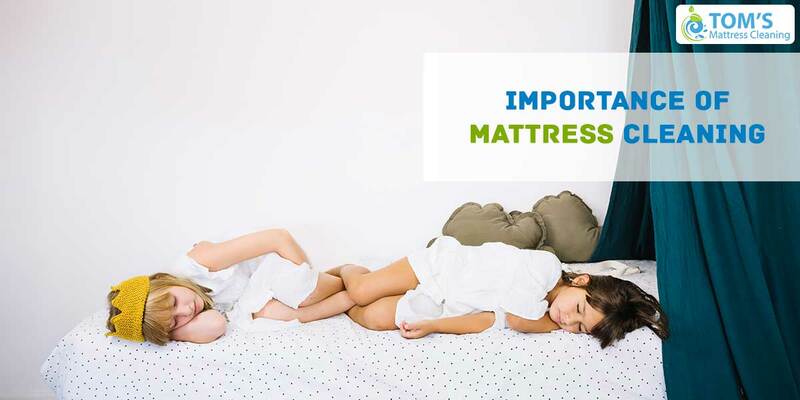 Other impurities such as pollen, dirt, pet dander, are also taken care of once you clean your mattress regularly. Nowadays you can take help of dust removing tools that are available in the market. Improving the ambiance of your house – the look is important! Clean your mattress to get a better look of your bedroom. Once you start doing it you will automatically start cleaning your bed cover, and thus make it look pretty. This will help you sleep peacefully and more comfortably. A good night’s sleep adds to your overall well-being. Eliminate mites and bugs – dust mite and bugs have the habit of growing on your mattress causing health hazards. One of the smart ways of eliminating these insects is by cleaning your mattress regularly. You can take the help of a vacuum cleaner to do it properly. Your family benefits from the absence of these insects. Reduce Allergic developments – dust or pollens are nasty allergic agents. Some people, especially kids and seniors are prone to dust allergy and respiratory ailments. Other common allergic issues are eczema and rhinitis. Then there are other problems like sneezing, eye and throat irritation, respiratory congestion and watery eyes that might develop. Cleaning up the dust is recommended to avoid these problems. You also need to keep in mind that you spend more than eight hours on your mattress. So keeping it clean is important. Improving air quality – some biological contaminants such as dust mites, cockroaches, pollen, mould, mildew, bacteria and virus also affect the air in your room. And your mattress is their favourite breeding ground. You breathe in a lot of this while sleeping on your mattress. Fine dust particles in the mattress are bellowed out and we breathe it without realizing. Moreover sweat and skin cells remains in your mattress. In such places dust mites reproduce quickly. So it is only wise to look after your mattress. Using mattress cover can reduce dust considerably. Even though, you need to regularly clean your mattress. While buying covers you need to evaluate how much protection it can provide. Hope these insights help you in keeping your home environment – fresh, hygienic and clean. Keep your mattress clean and enjoy peace of mind and a healthy life.